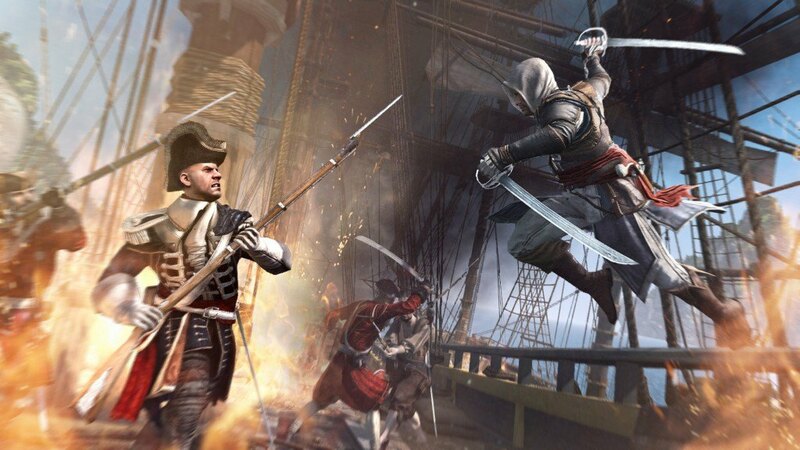 We all know that Under Control, the multiplayer event of Assassin’s Creed 4 was a super hit among all the Edward Kenway loyalists. The success of the event only meant one thing, more events; and really, Ubisoft has announced yet another extravaganza of multiplayer takedowns in their latest action adventure. A post by Valentin Pasquier-Desvignes the community developer of Ubisoft announced the second multiplayer event today on US PlayStation Blog. The event is titled The Flying Dutchman and will revolve around treasure hunts for artifacts that groups of assassins will undertake in order to bring the articles back to their base in Artifact Assault mode. The event will start on Friday, November 29 and will go on until Sunday, December 1; what a way to spend the Black Friday. During the three days, objectives will be provided time by time and exclusive content will get unlocked upon completion of each of them. Unlock these exclusive Assassin costumes by reaching the community objective. Find out what the community objectives are by logging in to Assassin’s Creed IV Black Flag. Oh and this time there will be no melee attacks, the only way you can take down an enemy is by flying a bullet to the head of your enemies. How prepared are you for another round of Assassin’s Creed 4?